Old Man Winter is an expensive guest in a home that hasn’t been weatherized. “The first time they think about having to turn the furnace on, people start to panic,” said Steve Taylor, home improvement programs manager at the Northwest Michigan Community Action Agency in Traverse City. One way low-income families can reduce their energy costs is through weatherization, the process that makes homes more energy-efficient. Michigan’s Weatherization Assistance Program provides free home energy conservation services to low income residents. These services reduce energy use, which helps to lower utility bills. 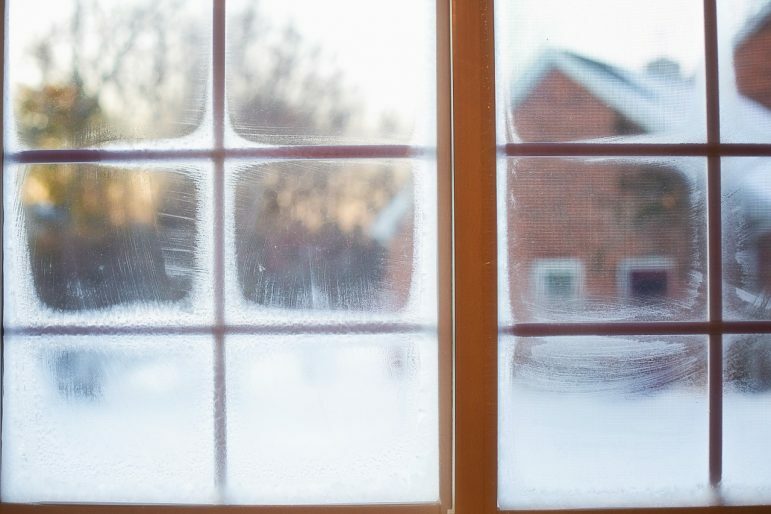 Weatherization in cold states can reduce heating costs an average of 30 percent, according to the U.S. Department of Energy. More than 1,500 Michigan homes have benefited from the Weatherization Assistance Program, Wheaton said. More than 300,000 homes have been weatherized since the program began in 1976. The Health and Human Services partners with community action agencies to provide weatherization services across the state. The Northwest Michigan Community Action Agency serves 10 counties in the Lower Peninsula, including Grand Traverse, Leelanau, Emmet, Wexford, Missaukee and Charlevoix counties. “In our region, with high rental rates, higher home prices and a predominance of propane as the source of home heating fuel, our program is extremely important for maintaining and creating affordable housing for people,” Taylor said. This year it has the budget to weatherize 68 homes in 10 counties and have completed 18, Taylor said. The Northeast Michigan Community Service Agency weatherizes roughly the same number of homes, between 65 and 75, across the 11 counties it serves. Taylor said more requests for weatherization come in each day. In some counties, there is a four-year waiting list. Counties served by the agency have long waitlists too, Williams said. In Ottawa County, 96 people are waiting to have their homes weatherized, said Michelle Brothers, weatherization coordinator at the Ottawa County Community Action Agency. Wheaton said the department is working on reducing the waiting lists to help create more realistic expectations for customers. Brothers said the number of houses the agency is able to weatherize each year fluctuates. Last year it completed 50, but she said because of a reduction in funding, this year it will do between 35 and 40. Williams said the Northeast Michigan Community Service Agency spends an average of $6,000 per home. Some of the work that goes into this cost include replacing the furnace, putting in wall, attic and foundation insulation, sealing windows and doors and replacing appliances such as refrigerators. Michigan’s Weatherization Assistance Program is funded by the U.S. Department of Energy. Funding varies from one agency to another. To be eligible for the program, a household income must be at or below 200 percent of the federal poverty guidelines. For a family of four, that means their annual income must be under $49,200. The program is not an emergency repair service, Taylor said. The process can take up two months. The earlier a request is made, the better, he said. Homes can be weatherized all year long, and if it is done before temperatures drop, the homes will be more energy efficient when the cold weather hits and people begin to turn on their heat. Wheaton said a weatherized home can save families up to $450 each year in energy costs. These savings can prevent a family from having to turn to the Department of Health and Human Services for assistance in paying their energy bills. Taylor said he has experienced this in the counties he serves.